The sentence, Speak Truth to Power, is a Quaker advice and it summed up what Catherine Lim did in a dinner talk she gave at Tanglin Club last month. Indeed, she has been doing that for 17 years, speaking truth to power fearlessly. Addressing a sell-out audience and referring to her 2011 book (A Watershed Election), she reminded her readers that she criticised the high ministerial salaries, the authoritarian ways of the PAP and the adverse influence of Lee Kuan Yew on the GE campaign. She wrote that nothing would change. When first asked to speak, she was reluctant as she had just published her book and there was her blog. What made her change her mind was an article published on April 6 in The Straits Times entitled The Singapore Way: The Way To Go? by American journalist Tom Plate. Plate’s article was an excerpt from the Afterword of his just-published second edition of Conversations with Lee Kuan Yew. Catherine Lim never doubted the force of her commentaries on Lee but for the first time, he acknowledged her as a critic to be reckoned with. He had in the past dismissed her as ‘ a novelist… with the capacity for grotesque caricature’. Well, the novelist now felt vindicated. But she did not gloat. The government had ignored her, The Straits Times had ignored, after publishing her initial articles. Now, the great man, late in life, a year after leaving politics, a widower, had finally said in print that Catherine Lim was someone who had contributed to his self-criticism. 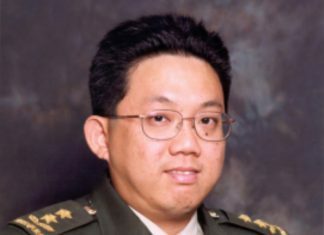 The significance of Lee’s admission that Lim was a critic to be counted has escaped most watchers of Singapore’s politics. In her talk, she referred to the Prime Minister’s recent National Day rally speech in which he said his government would take care of housing, education and health and create a more inclusive society, but sceptics said that they had heard it before. What could it do? She suggested two choices. The first is to go back to the old knuckleduster days of Lee Kuan Yew. The second is to open up Singapore society in a way that has not been seen before. In other words, replace the old, stern top-down approach with a people-friendly, bottom-up one, something that a minister had called the light footprint. But she did not think the second option would work. First, it would mean overhauling a mindset. She used the phrase ” a collective DNA” that made the party constitutionally incapable of change. Second, PAP leaders have always believed that Singapore was too small and vulnerable and it would always need the strong, paternal hand of the party. Third, it would mean the dismantling of the feared machinery of the ISA and the defamation suit. What next for the PAP? But third, the government would still use what she termed “old instruments” to curb critics who overstepped, like the outspoken blogger or the satirical cartoonist. In this sort of behaviour, the government had skilfully created the mixed strategy of blowing hot, blowing cold. It forced the White Paper on population on the people and then invited them to engage in the great Singapore Conversation. It looked Machiavellian. What about your “relationship’, someone asked, with Goh Chok Tong whom you first criticised in 1994. She wrote an article called The Great Affective Divide in September that year and followed it with One Government, Two Styles three months later. In the second article, she said Goh was under the influence of Lee Kuan Yew. Goh took exception to that claim and challenged her to enter politics. Her answer: ” I wrote as a responsible person interested in the direction of Singapore’s politics. I don’t have to join a political party to be able to comment on it. To return finally to her criticism of Lee Kuan Yew, no one can tell exactly the extent her remarks contributed to his self-appraisal. Recents reports of the first Prime Minister evince mixed responses. He has this year published two new books, The Wit and Wisdom of Lee Kuan Yew and One Man’s View of the World, tomes aimed to assure his legacy. At the same time, press reports point to a physically frail, old person and on the Net one can see an image of him in a wheelchair feeding coi in Jurong. It prompts the comment not often publicly mentioned that Lee is not what he used to be. This feeling is augmented by his poignant remark that when it was his time to go, and this from a person of secular belief, he hoped to meet Mrs Lee in the hereafter. Catherine Lim has been speaking truth to power since 1994, when she published her article on Goh. Many are surprised that she has done so with impunity. But because she speaks as an honest broker beholden only to her conscience and because she is an accomplished writer who knows how far she can go, perhaps no one should be surprised that she has got away with what she did—and is still doing. Robert Yeo, poet and playwright, is a part-time lecturer at SMU.